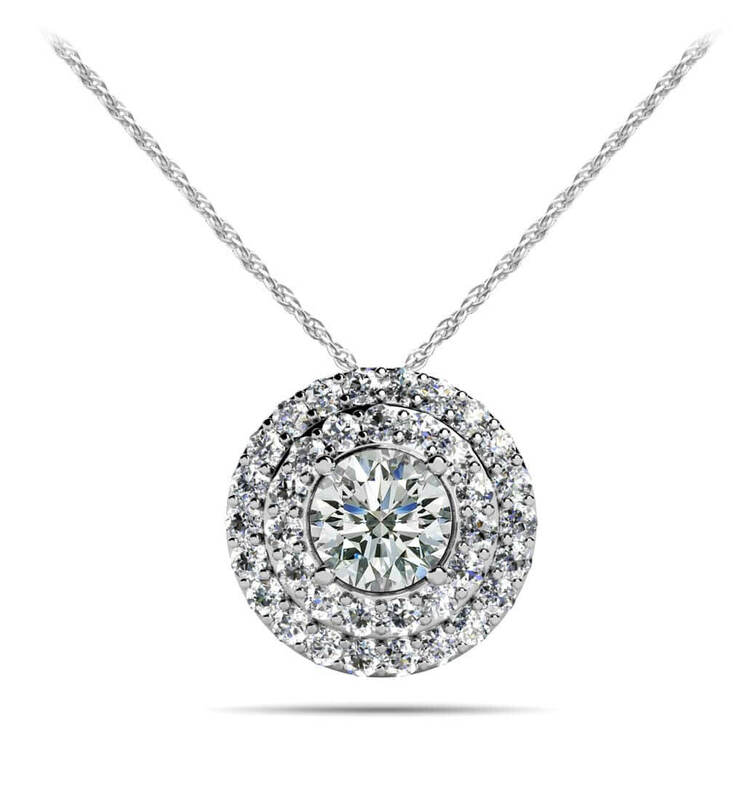 This beautiful pendant necklace features a larger center diamond surrounded by two rows of smaller prong set diamonds. It dangles perfectly from the coordinating gold or platinum chain and complements any attire. 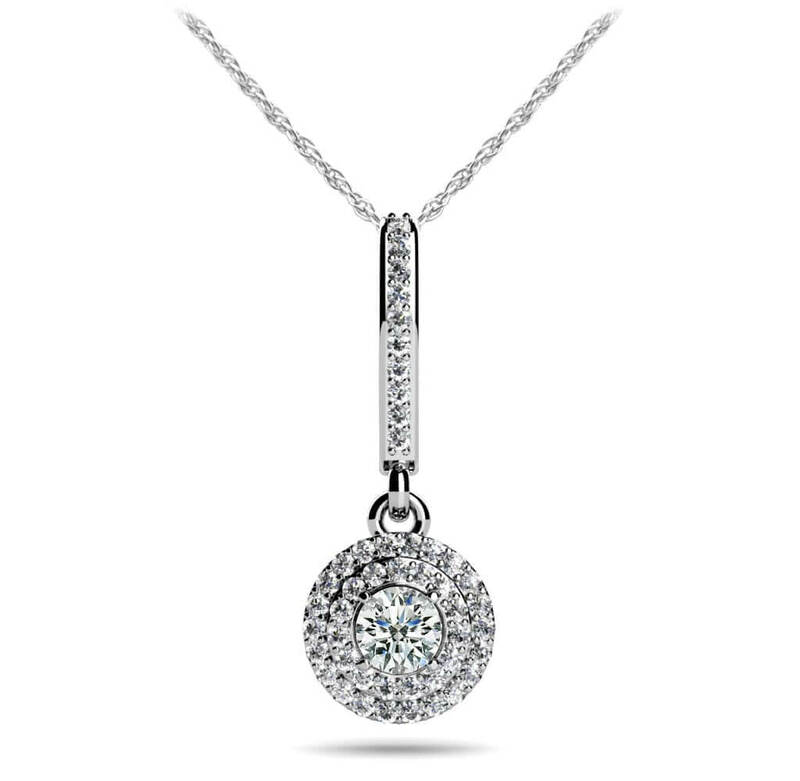 Customize this sparkly pendant in your favorite metal type (gold or platinum), diamond quality, length and size. There are four sizes to choose from including .26, .33, .44 and .55 carats. Create the pendant of your dreams today! Model Carat Weight: 0.26 ct. Effective Carat Weight: 0.26 ct.
Stone Carat Weight: 31X0.005 ct., 1X0.105 ct.